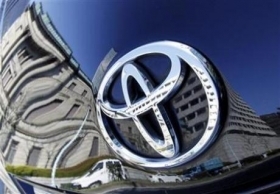 DETROIT (AP) -- Buyers were willing to overlook Toyota's safety troubles the last few months thanks to zero-percent financing and other deals, but as the lure of incentives fades, Toyota has a tough job: Winning over consumers who no longer trust the brand. Toyota Motor Corp. hasn't had to face the music yet. Last week, it extended its incentives through June 1, and some analysts expect the company will keep offering deals through the summer. But at some point, Toyota will wean itself from incentives and determine the true extent of the damage from its recalls of more than 8 million vehicles over faulty gas pedals and brake problems in the Prius. "The deck has been reshuffled," said James Bell, an analyst with Kelley Blue Book. "There's permanent damage there. It's not fatal, but it changes the game. This makes Toyota compete in a way they haven't in 25 years." Toyota's sales tumbled after it stopped the sale of eight models in late January, but it halted the slide with record-high incentives in March. Toyota attracted loyal buyers and bargain hunters despite a drumbeat of bad news, from the filing of more than 300 state and federal lawsuits to a driver in California who said his Prius sped out of control to a record $16.4 million federal fine. For now, the deals are beginning to lose their luster. Toyota's sales fell 16 percent from March to April, and there are signs some buyers are no longer considering the brand. Auto information site Edmunds.com, which tracks which vehicles people are considering by page views on its Web site, said 20 percent of shoppers were considering Toyota vehicles in the last week of December. That fell to 15 percent at the height of the crisis in mid-February. Page views rose after the incentives but fell back down to 16 percent this week. Meanwhile, Ford Motor Co.'s numbers jumped from 12.5 percent in December to 15 percent this week. "They're not holding some of the momentum we thought they might," Edmunds senior analyst Jessica Caldwell said. "For those people who have decided not to buy a Toyota, the incentive really does not matter." Toyota spent an average of $2,498 per vehicle on incentives in April, according to Edmunds. While that's still less than its Detroit rivals, it's 53 percent more than it spent in April last year. Incentives can be a risky way to win buyers. They can be harmful in the long run by pushing down resale values and cheapening the brand in the eyes of consumers. Caldwell predicts Toyota will see further drops in consideration among buyers when it takes the incentives away. More insight into its finances will come on Tuesday, when it reports fourth-quarter and full-year results. Toyota Group Vice President Bob Carter said the company is focusing on incentives in the short term because it wants to remain competitive. As the summer goes on, Toyota will start trying to attract more skeptical customers who aren't searching for an immediate deal, Carter said. "In the long term we've got to rebuild the brand to remove any questions or cautions consumers have on the street," he said. One of those skeptics is Jennifer Baldridge, a 40-year-old mother from Colorado. Until a few weeks ago, Baldridge was thinking about replacing her 2004 Toyota Sienna minivan with a new Sienna. She was concerned about the safety recalls but needs all-wheel-drive, and the Sienna is the only minivan with that option. Baldridge's Sienna has had numerous problems, but the last straw was when the sliding door failed and she had to pay $1,700 for the repair. "I don't expect my doors to fail within five or six years of owning a car. To me, a company should be standing behind their products and fixing those problems," she said. Baldridge briefly considered the Lexus GX 460 sport utility vehicle, but then Toyota recalled it after Consumer Reports warned it could flip over in tight turns. Now, she's looking at SUVs and the 2011 Honda Odyssey minivan, due out this summer. "We're just praying the other doors work until we make up our minds," she said. Toyota still has loyalists. Alan Root, 54, a building maintenance engineer from Mazomanie, Wis., is a former Ford and Chevrolet mechanic who has owned nine Toyotas over the last dozen years. He recently bought a new Tacoma pickup and a 2008 Toyota Yaris. Root thinks the government wanted to tarnish Toyota because of the billions it invested in General Motors Co. and Chrysler Group LLC. "The government is bearing down on Toyota like the Titanic going down. You never see that with Ford or Chevy recalls," Root said during a recent visit to Smart Toyota in Madison, Wis., where he was helping his mother trade in her 2008 Yaris for a new one. Carter also insists it's not all gloom for Toyota. He says the automaker's conquest rate -- or the rate it attracts buyers from other brands -- is around 40 percent, the same level it has been historically. But that might have been boosted by incentives. The deals aren't swaying buyers like Baldridge. She said she would consider Toyota again, but only if the company offers a really unique product that meets her needs, like the four-wheel-drive minivan. For some buyers, even a unique product might not get Toyota back on their lists. Lou Rivas, a 29-year-old X-ray technician, says his mother wanted to replace her 1997 Toyota Corolla with a Toyota RAV4 but the recall gave her pause. Now, he said, Toyota is her last choice. "After what happened she said, 'Forget it, just keep your options open,'" Rivas said during a recent visit to Glendale Dodge Chrysler Jeep in California. He was shopping for Jeeps.